IMBD homepage on March 22, 2017. You would think the First Amendment is a bulletproof defense against censorship of the Internet. But then you are not reckoning with the awesome political power of the Screen Actors Guild. The union representing Hollywood stars and role players somehow persuaded California lawmakers to enact a law that would bar the popular IMDb website from revealing the ages of actors. It’s a law that sounds crazy even by California standards, yet Governor Jerry Brown signed it last fall. You’ve probably heard of the entertainment-focused IMDb. Owned by Amazon.com, it was founded by a British computer programmer and movie buff in 1990, when the Internet was in diapers. Today, it’s among the world’s most popular websites, with over 250 million visitors every month. The basic IMDb service is free. Its content, like that of Wikipedia, is crowdsourced. Members love to post information about their favorite movies, directors, stars, and — this is the important fact — the actors’ ages. Many stars aren’t happy about that. It’s not just vanity, they say; Hollywood is rife with ageism, and older actors don’t want directors to think they’ve passed their sell-by dates. IMDb has a paid version of its service called IMDbPro that has become the Hollywood equivalent of LinkedIn, the social network for business. Actors and others pay about $150 a year to see and be seen by the industry elite, and to hunt for jobs. And a role might be harder to come by if it’s known that a certain actor is on the far side of 50. But you can’t ban the whole Internet from publishing someone’s age. Or can you? California legislators figured out a way around that by framing their law as a defense against age discrimination. They wrote a publishing restriction that applies only to “a commercial online entertainment employment service provider,” allowing paying members to demand that his or her age be deleted from that site. You won’t be surprised to learn that IMDb and IMDbPro are virtually the only sites on earth that fit the criteria described in the law. Sure enough, as of Jan. 1, IMDb had received more than 2,300 takedown requests, including 10 from people who’ve won Oscars and another 71 who’ve been nominated for Oscars, Emmys, or Golden Globes. IMDb hasn’t honored a single one of these requests, insisting the law is flagrantly unconstitutional. Besides, it won’t work. The same information is usually available elsewhere online, for the price of a quick Google search. And so IMDb argues the law harms its business by driving its users to other sites, without achieving its purpose. IMDb filed suit against the law in federal court, and in February, US District Court Judge Vince Chhabria issued an injunction against it until the case can be heard. 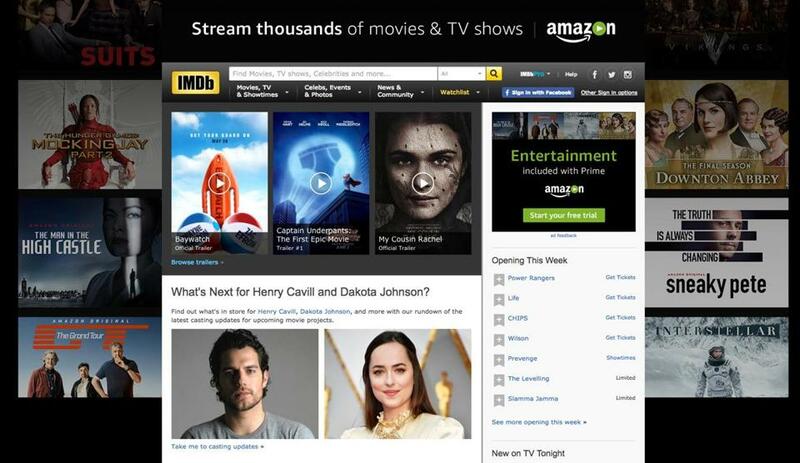 “There is an exceedingly strong likelihood that IMDb will prevail,” the judge predicted. That’s putting it mildly. The IMDb law is merely the nuttiest recent effort by governments here and abroad to censor unwelcome Internet content. Other examples are less ridiculous but equally pernicious. Google, for instance, is headed to court in France, hoping to fend off a ruinous global expansion of the “right to be forgotten.” A 2014 ruling of the European Court of Justice held that citizens of the European Union can demand the deletion of embarrassing search results that are “no longer relevant” to a person’s life. For instance, if a Frenchman went bankrupt 10 years ago, he could ask Google not to display this fact when someone ran a search of his name. Google has complied with over a quarter-million such requests, but only in Europe. The Frenchman’s bankruptcy would still come up if someone ran his name through Google in the United States. But in 2015, a French court ruled that Google must wipe embarrassing search results worldwide. It’s a radical attempt to force the entire world to play by Europe’s censorious rules. I’m sympathetic; we’ve all done things we’d like the world to forget. But it’s no different from trying to block the publication of Brad Pitt’s age. That’s not the government’s job. Other ongoing disputes over online expression are more complex. Even now, European companies are pulling ads from Facebook and YouTube because users of those services sometimes post racist and anti-Semitic messages that are illegal overseas but protected here. You can’t blame advertisers for fleeing such stuff, even where it’s legal to publish it. And Internet companies aren’t bound by the First Amendment. They have every right to bar materials that don’t meet their ethical standards, or those of their customers. Websites are also entitled to use their own judgment in flagging stories that might be considered “fake news”; I might disagree with their decisions, but I don’t see it as censorship. But governments can’t ban the online publication of truth, at least not on this side of the Atlantic. Somebody tell the Screen Actors Guild.